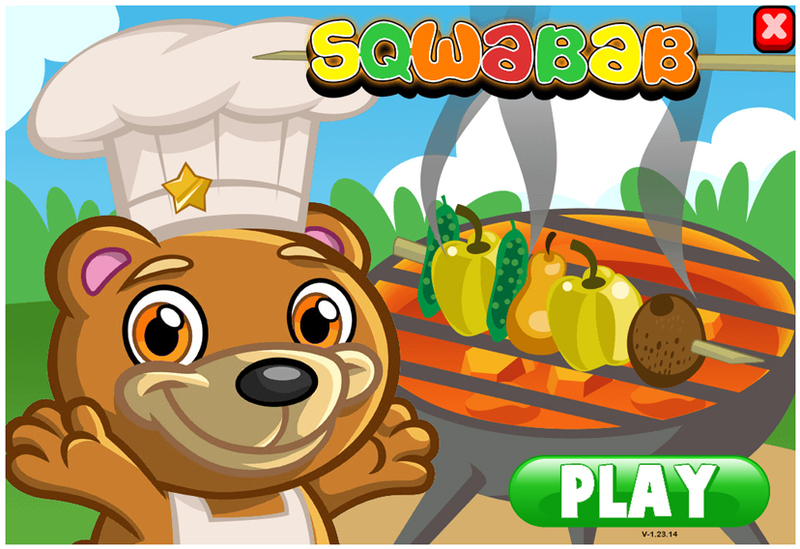 Chef Sqwear wants to teach you how to make the best Sqwababs in all of SqwishLand! Follow his instructions carefully and put together the best combinations of fruit and veggies to make the ultimate Sqwabab before time runs out! Make sure to use the right ingredients, or else Chef Sqwear will deduct time from the clock for cheating! Click or Tap the yellow circle when the correct ingredient moves over the top of it and send it flying onto Chef Sqwear’s skewers!